Situated on the Harbour front in Orkney’s gateway port. All day food and a cracking community bar. Dogs can travel free of charge on John o’Groats ferries and also are welcome on the coach tour over to Orkney. We know this as Bailie has been on it. Its also confirmed on their website. So you can Visit Skara Brae, Scapa Flow, Stromness, Kirkwall, Churchill Barriers, Ring of Brodgar, Standing Stones of Stenness and the Italian Chapel with your dog! 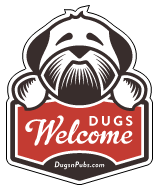 There are a total of 6 dog friendly listings in the Orkney category. Please log in, or sign up as a member to view all listings.